Every day I wondered about my business and how I would flourish and BE SEEN. I was worried what people would think, what they would pay and how they would share. I never considered that what I was called to do, was not contingent on people. Wrestling with you mind with all the ideals you have and all the things you want to do is one thing, but when you wrestle with what others think about you and this will be perceived you allow the enemy to come in and change you. The mind is a terrible thing to waste; to allow an outside source to change what is inside of you, you move away from the original idea that caused you to go in business in the first place. That was where I was over the years. The transition from C.K.Q. to B.A.D. was being formulated in 2012 but I wasn't paying attention. I thought it was another facet of C.K.Q., but God was calling me higher in business and in ministry. 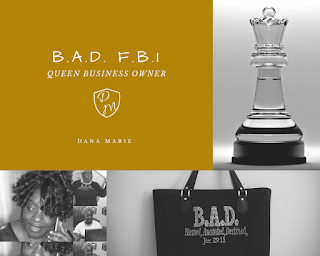 When I spoke recently about the book Damia Willis, FBI, I started to realize, by Volume 5, God was changing me; that was a challenge. My initial why were my children, now my WHY and WHY not were the gifts I was given, and the being ministry driven. I had to leave all that I knew about what I wanted to do behind. It hurt me to do so. No, this isn't about leaving corporate America, it is about leaving the desire to have a non-profit, or some direct sales businesses behind. This is about having a heart check and being in tune to the call at hand. The call was to use my gifts, in order to fund the ministry, but using those gifts meant not doing everything I wanted, but everything given to me for the B.A.D. Brand. What is included in the brand? Well that was a challenge! In 2012/13 I was given B.A.D Billionaires Club, B.A.D Investors, B.A.D. University (coaching/teaching), and then the books I've written that I am sharing as B.A.D Books. 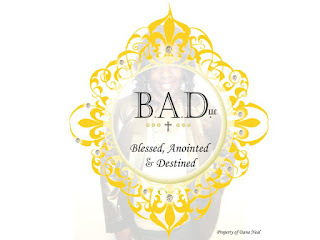 I now have sub services in the B.A.D Brand to help women see, build, and share to the highest extent of their being. The challenges were in the change of heart and mind that were necessary in building this brand.